Using a crystal pendulum to check chakra energy can give you x-ray accuracy results. The movement of the crystal can determine if a persons thinking habits are positive or negative around particular areas of their lives, if they could be experiencing blocked or imbalanced energy in a specific part of the body or if things are going really well energy-wise, or could use a bit more attention. How do you do this? It's all covered in great detail when you learn more about Chakra Energy Healing. The pendulum dips into the chakra energy and brings back a result by the way that it spins. And that result will give you all of the information about that particular chakra. Understand that crystal pendulums have a vibrational energy of their own. When you are doing chakra energy healing, you really need to align with the energy of your pendulum so that you can work as a team. It's easy to do. As you build up your energy and align with your pendulum, it could test you as it responds to your own energy and for very new users of the pendulum, it will also respond to your doubts and give you fake results. It is only when you align completely (and get out of your own way) then your pendulum will give you x-ray accurate results every single time. Don't worry. It's ALL covered in the course and there's even a video avalanche system included that will show you HOW to breakthrough doubt so easily. Get yourself a pendulum and enjoy it's energy. 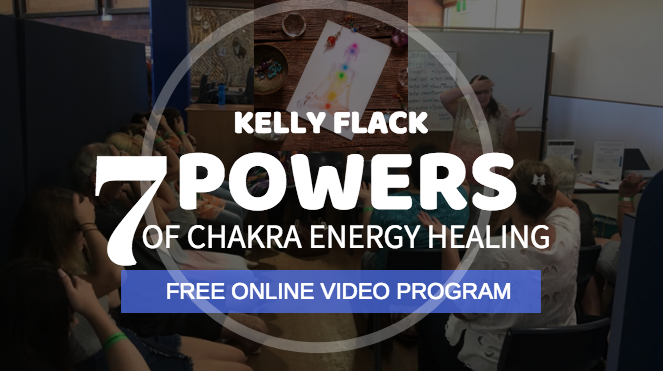 During this comprehensive online course, Kelly will give you the tools, strategies and a clear map so you can stay on track and achieve total alignment with your crystal pendulum and be able to get accurate chakra check results from every person that you check. Imagine being able to do this for your loved ones! You'd be able to pick up if anything is out of balance within their body AND be able to clear and recharge their energy before it becomes a manifested symptom of illness or dis-ease. Everything is energy. If you have missed any of this free online video program, you are welcome to sign up here. Don't miss a piece of this incredible puzzle. Get the complete picture and sign up today!